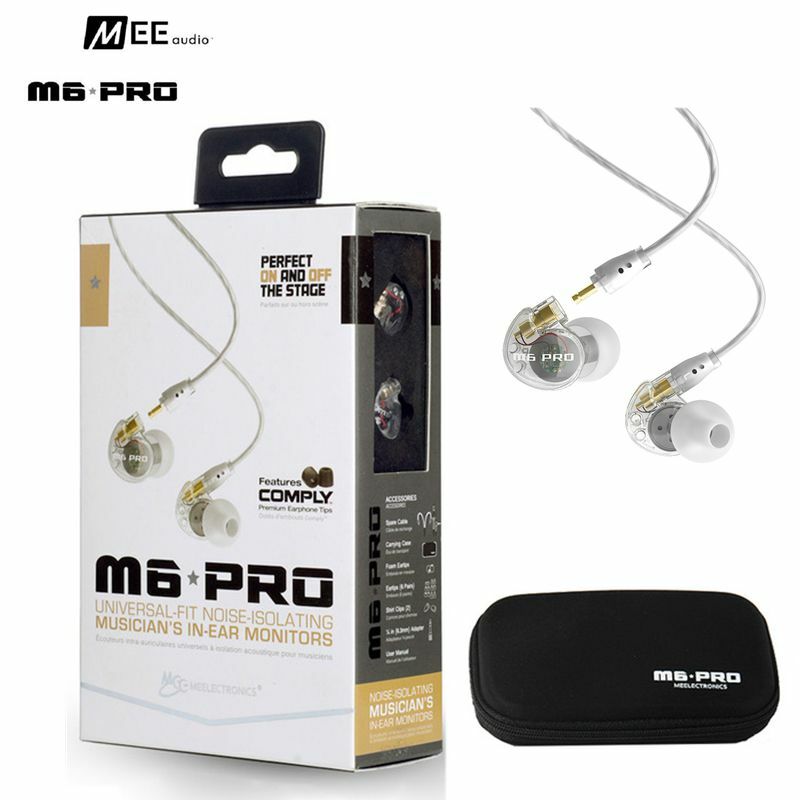 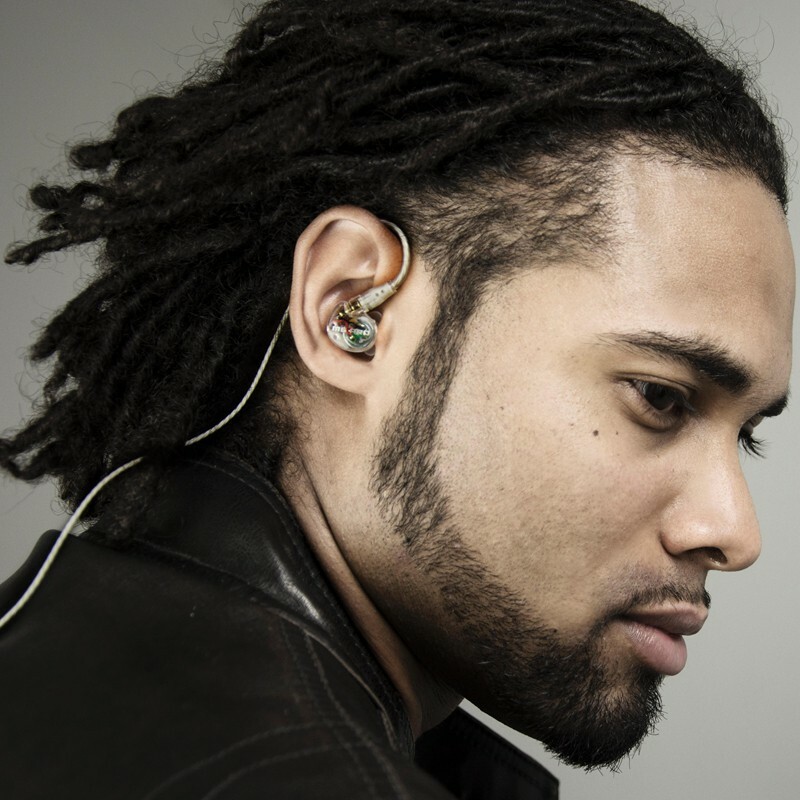 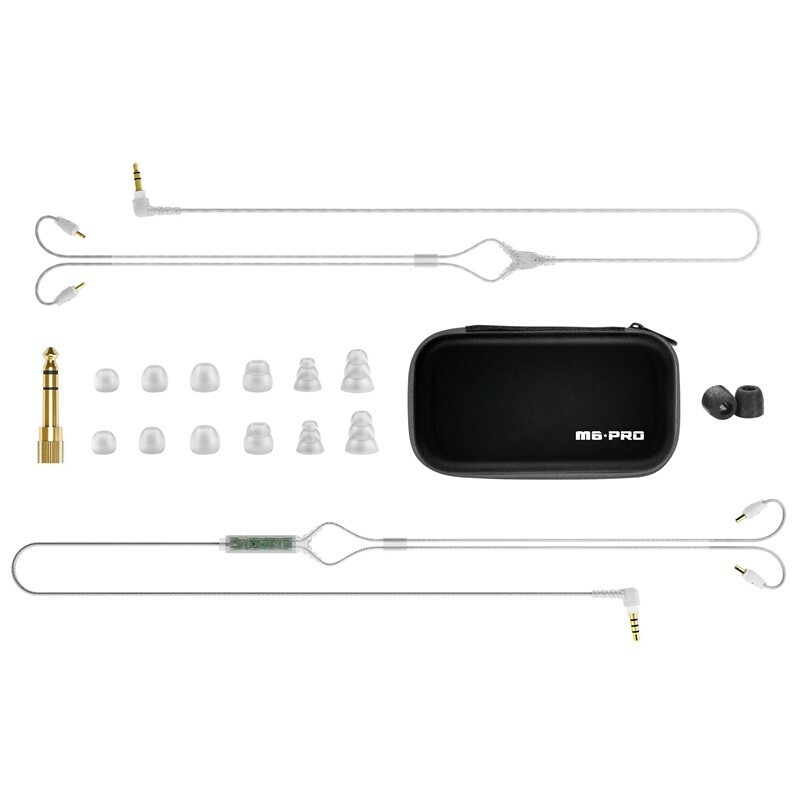 With a durable, comfortable design and great sound, the MEE audio (formerly MEElectronics) M6 PRO In-Ear Monitors are an all-in-one audio solution for gym, stage, and street. 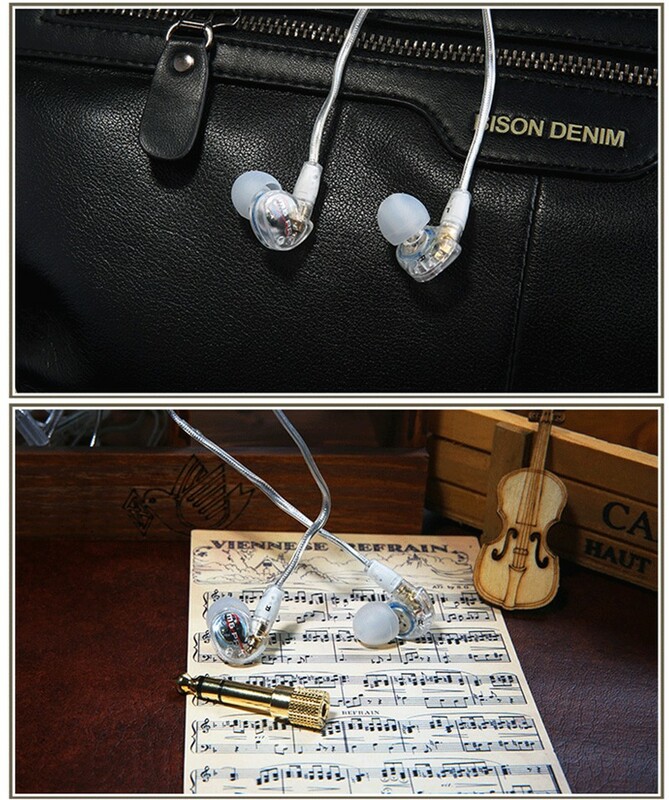 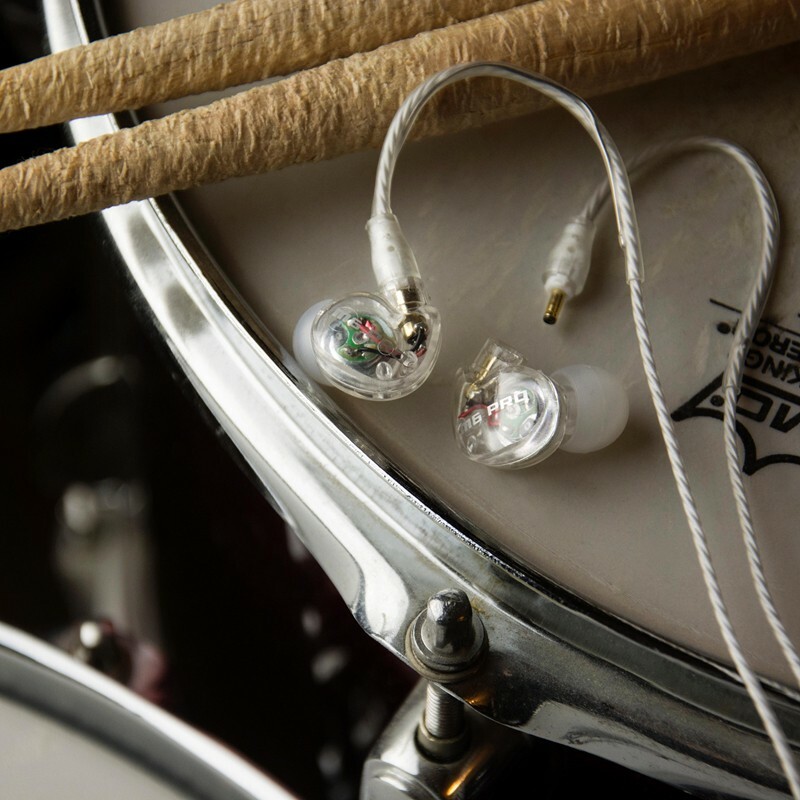 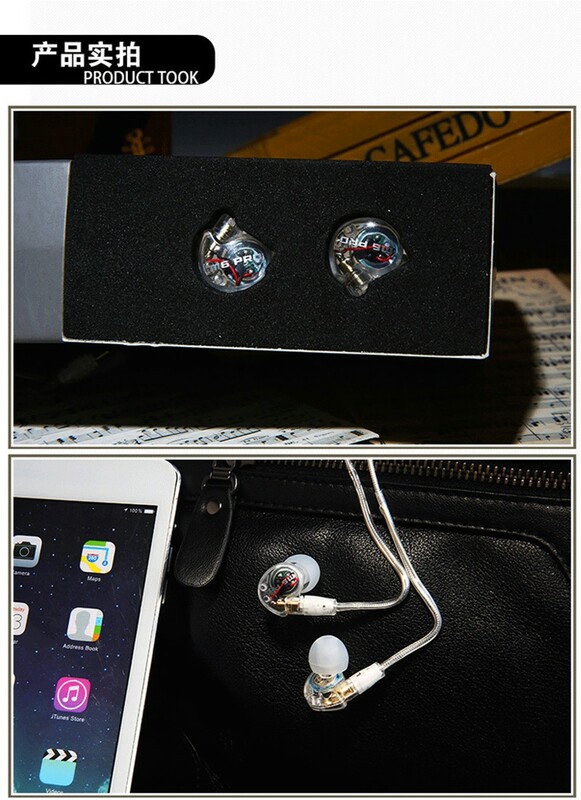 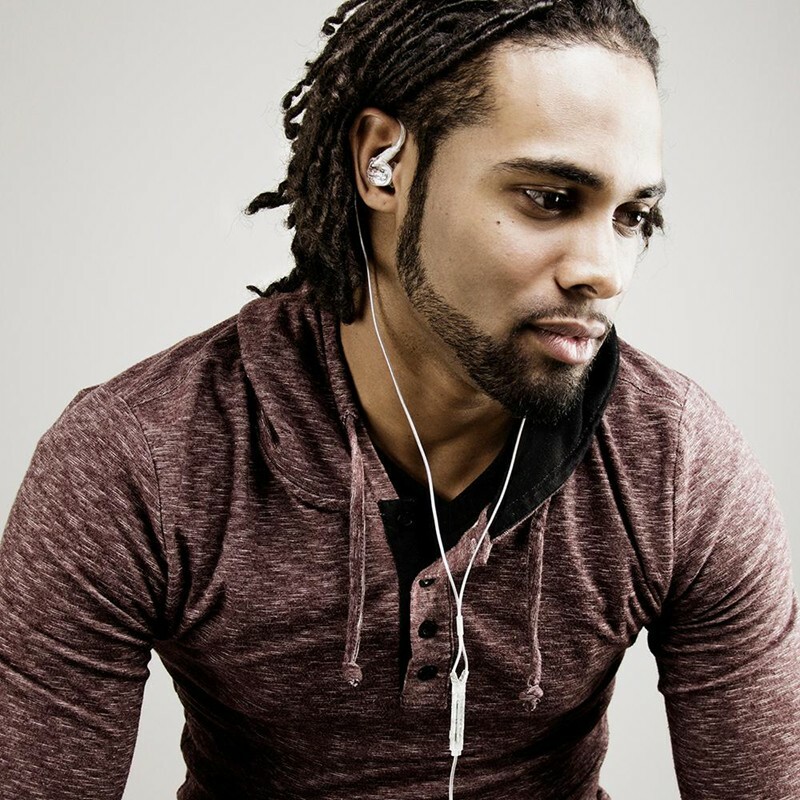 Flexible over-the-ear memory wire and seven pairs of eartips provide a secure, personalized fit for all ears. 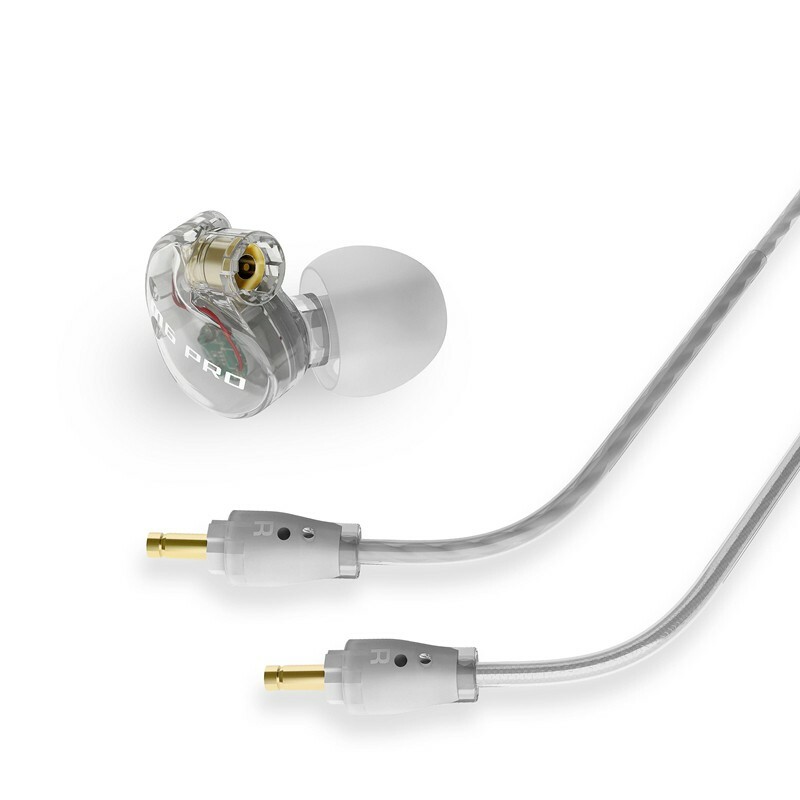 An ultrathin 5Âµm driver diaphragm and aluminum voice coil deliver clear, full-range sound with deep, yet balanced bass and crisp detail reproduction. 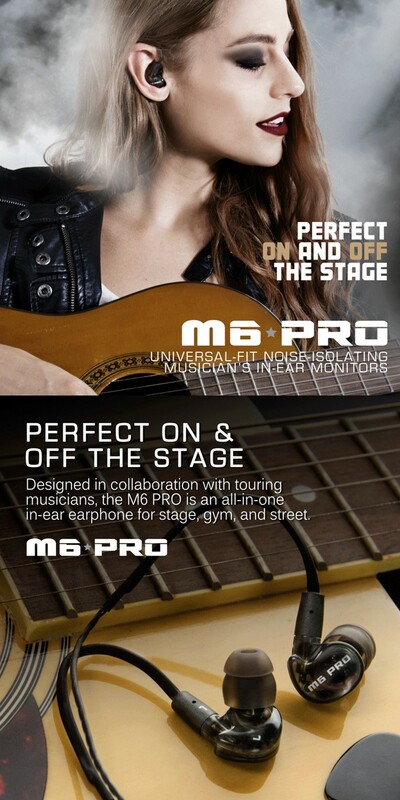 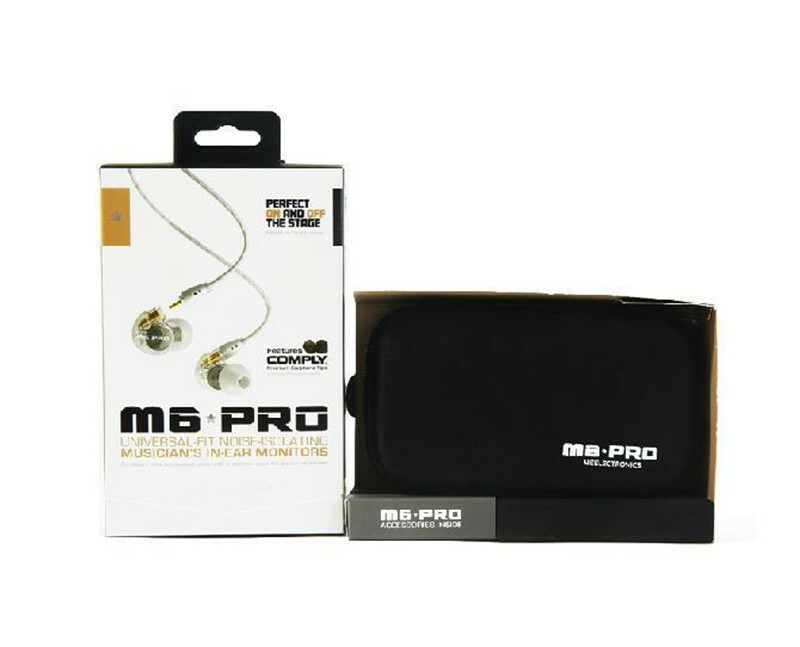 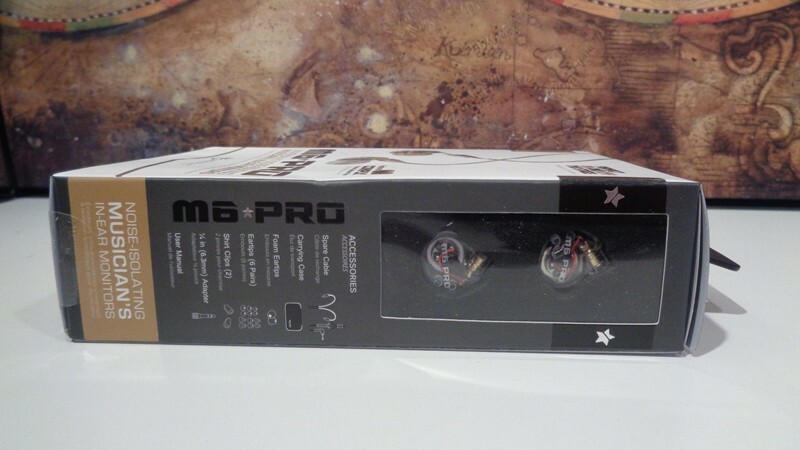 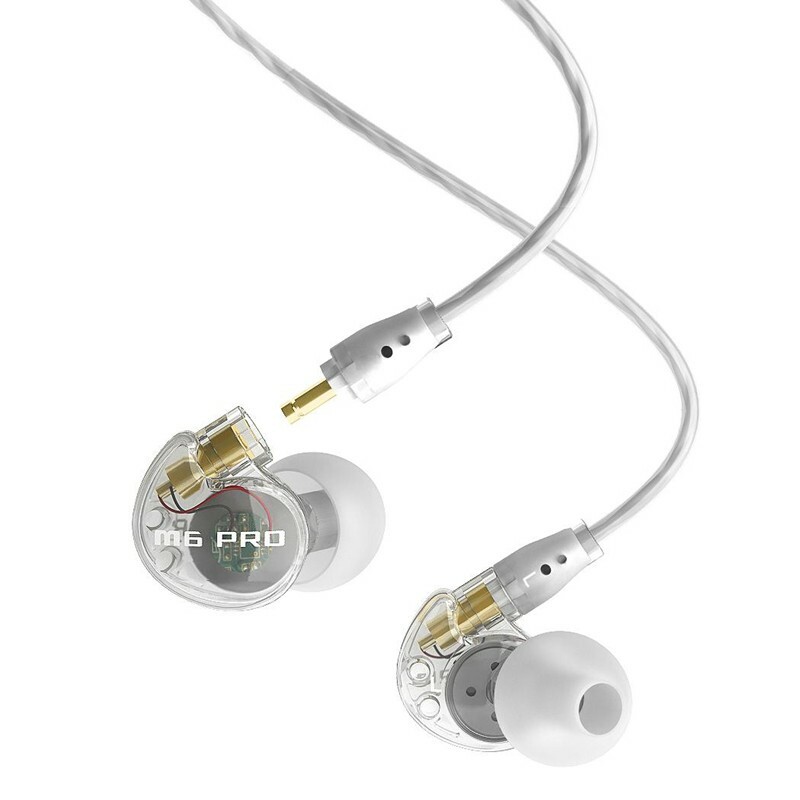 Engineered for real-world reliability, the M6 PRO features detachable, user-replaceable cables and sweat resistance. 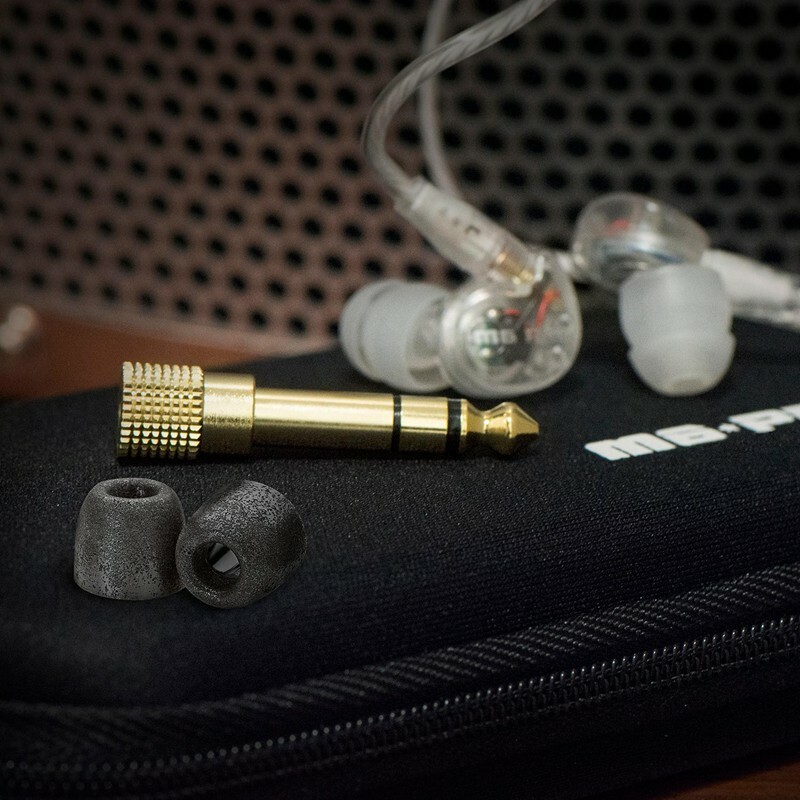 Comply memory foam eartips reduce external noise, enabling safer listening volumes.